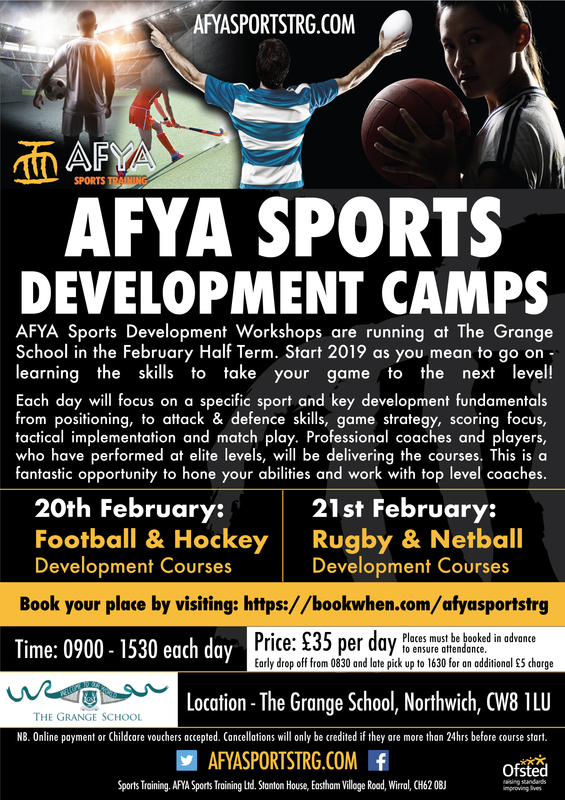 This February Half Term, AFYA are pleased to be running sports specific workshop days at The Grange School in Cheshire. Ideal for senior school students who play their respective sport at school team/ club level and are looking to develop their skills further. NB. courses are open to all NOT just Grange School students.